Francis Chan, Neo-Calvinist, New Age Gnostic and a sellout. This book promotion by Francis Chan is a response to Rob Bell’s Love Win’s, Rob Bell rejects the Believe in a literal hell, but with Francis Chan, he attempts to give a philosophical rational mixing scripture with visualisation exercises. What are the biggest problems with Francis Chan? The Bible teaches in Galatians 5:9 Your glorying is not okay. Know ye not that a little leaven leaveneth the whole lump? For those who do not know what the practice of Lectio Divina is explained by Archbishop Thomas Collins popular monthly Lectio Divina series at St. Michael’s Cathedral in Toronto (Roman Catholic) teaching heresy of experiential and mystical practices. In a book by Collins Pathway to Our Hearts, Collins welcomes readers into a nourishing encounter with the word of God, adapting the ancient practice of Lectio Divina for today’s Catholics. At this time of revival of the tradition of Lectio Divina, including a strong endorsement by the 2008 Synod on the Word, Collins models a simple approach that anyone can take to reading scripture. That goes back to the desert fathers. This is what is promoted as a practice as seen by Francis Chan, this practice has been more correctly used by both Catholics and Gnostics, a typical diagram can be seen below. It is stated that “Lectio Divina” are now also practiced in Charismatic churches. When you see the translation, it may sound right to those who are ignorant of what Roman Catholicism teaches at first glance, but anything with a Roman Catholic root, this should worry you as it also centralises around the Catholic Mass. “In Christianity, Lectio Divina (Latin for divine reading) is a traditional Catholic practice of scriptural reading, meditation, and prayer intended to promote communion with God and to increase the knowledge of God’s Word. It does not treat Scripture as texts to be studied but as the Living Word. Lectio Divina (Divine Reading) is described as a way of listening to the texts of scripture as if we were in a conversation with Christ and He was suggesting the topics of conversation. Christian Mystics believe that Christ was at work in the Spirit from the beginning (well before the historical Jesus Christ manifested on earth). This work is apparent in all the religions of the world and therefore recognized and accepted by Christian Mystics. In other words, Mysticism bridges across religions. We should realize that the various techniques of prayer and meditation used by all Mystics (regardless of religion) are available to us and can be very beneficial as we continue our spiritual journey. Lectio Divina can be used with any scripture, any spiritual text (regardless of religion). I must say that I have been pleasantly surprised at the techniques of prayer and meditation being taught by Christian Mystics. The explanations of Lectio Divina I have read from various sources were something I could relate to personally. The explanation of the “Method of Centring Prayer” (prayer of consent) that I have heard/read from Fr. Thomas Keating, OCSO has blown me away. As a result, I plan on reading three of his books. The first I already have, “Open Mind, Open Heart“. The second “Manifesting God” I will pick up sometime this week and the third I will have to wait to be released (coming this fall). 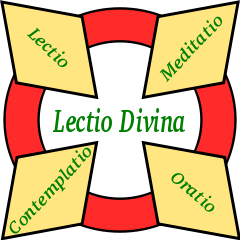 Lectio Divina and Centring Prayer are two distinct prayer forms…this thread is about Lectio Divina. With that in mind, I wish to share with you that I have practiced it unknowingly during a time of intense spiritual growth. This was something I was guided to do. The unity Mysticism provides is remarkable. Francis Chan has entered into deep spiritual corruption using the Bible to practice this deep method of Gnostic/Mysticism. Francis Chan has compromised with David Platt, Rick Warren and others as can been seen below. I love this book! Please read it. God is using David Platt to lead his church into much-needed reform. Radical Together is filled with tremendous insight from a man who loves Christ’s church. I don’t know of a church leader that I trust more. Who is David Platt ? Platt graduated from the University of Georgia with a B.A. in journalism. From there he attended New Orleans Baptist Theological Seminary. There he received the degrees of M.Div, Th.M, and also a Ph.D. After he finished his doctorate, Platt served at New Orleans Baptist Theological Seminary as Dean of Chapel and Assistant Professor of Expository Preaching and Apologetics. He also served at Edgewater Baptist Church in New Orleans and resided in a parsonage when Hurricane Katrina hit, flooding the parsonage. Francis Chan is mentioned as being featured on the Acts 29 Network, The Exponential Conference features some great speakers: Some of the speakers will include Acts 29’s own: Scott Thomas, Darrin Patrick, Matt Chandler, and Matt Carter. You will also have the chance to listen to people like Ed Stetzer, Francis Chan, Larry Osbourne, Billy Hornsby, Louis Giglio, and Alan Hirsch. How can truth and error mix, when truth and error do not walk in accord with one another,John 14:6 Jesus saith unto him, I am the way, the truth, and the life: no man cometh unto the Father, but by me. Jesus is the only truth then we should not be mixing falsehood. The Acts 29 Network was founded by Mark Driscoll who can be seen with Francis Chan. What is the great controversy with Mark Driscoll? Why would anyone want to be in the company of an ungodly man for the reason Psalm 1 warns us that these people would corrupt our thinking, the second point is Mark Driscoll should not be meddling what married people do. Mark Driscoll also promotes the practices of Contemplative Worship. Driscoll Instructs people to experience God in using these meditative techniques. Designate a quiet place. In a world full of distractions, we need a quiet place where we can allow God to speak to us. The most effective place to pray is where you are least likely to be disturbed. Give yourself 20-30 minutes. Many people only spend a few minutes each day in prayer. Very few people actually spend time in meditative prayer. It takes time to drown out the cares of the world, sit, prayerfully meditate on God’s word, and then allow him to speak to us. Choose Scripture to prayerfully meditate on. Prayerfully select a passage of Scripture that means something to you. Let it either focus on the goodness of God, the promises of God, or the worship of God. This practice is known as Contemplative prayer this is a technique invented by Thomas Keating and Thomas Merton, in Driscoll’s Acts 29 website does not give clear instruction to study the word, rather than adapt an ancient practice that is rooted in Catholic Mysticism and developed by the Desert Fathers. This is simply to experience God through his word to receive an enlightenment, this is as expressed and shown by a diagram. This is described as: offers crucial new insights on simplicity, demonstrating how the biblical view of simplicity, properly understood and applied, brings joy and balance to our inward and outward lives and “sets us free to enjoy the provision of God as a gift that can be shared with others.” The discussion of celebration, often the most neglected of the Disciplines, shows its critical importance, for it stands at the heart of the way to Christ. Celebration of Discipline will help motivate Christians everywhere to embark on a journey of prayer and spiritual growth. This practice is stepped in Mysticism but very popular amongst some of the prominent emergent church leaders. To remove any distraction is an instruction for more than simply praying it is also involves removing any thought so that we can hear God we read the same instruction given to us by Roman Catholic Priests. In Driscoll’s website titled Obedience the reader is instructed to read Celebration of Discipline, by Richard Foster, and Sacred Pathways, by Gary Thomas. Ray Yungen by his research shown that Fosters work is based on Thomas Merton were he promoted Contemplative Prayer. 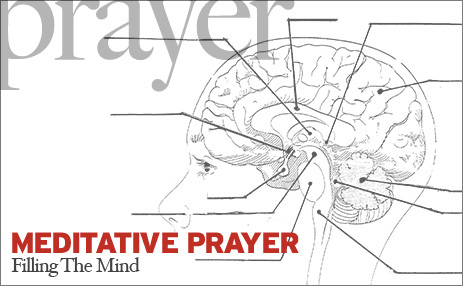 In its’ broadest definition prayer is communicating with God. This can be done audibly as God hears our words, or silently as God knows our thoughts. And, because communication is two-way, prayer can include both speaking to God and listening to God speak. Sometimes prayer moves the hand of God, but it often changes the hearts of men and women as in prayer we capture something of God’s heart and are brought into agreement with and trust in him. While, there are times when we pray to God the Son (as Stephen did in Acts) or to the Holy Spirit, generally speaking prayer is Trinitarian. This means that Christian prayer is to Father, through the Son, by the presence and power of the indwelling Spirit. Furthermore, Jesus prayers are a glimpse into the loving communion found in the Trinity. And, our prayers as Christians are our participation in the life of the Trinity. The author of this blog promotes the practice explained that Driscoll’s explanation shows the components to the Lacio Devina practice I would see why Driscoll is leading his followers and those who support Driscoll into these practices such as Francis Chan. I having read my own copy of Crazy Love there are area’s that is a great concern as to Fracis Chan’s overtly ecumenical ties, for example in at the front of the book we read four questionable name’s Joni Eareckson Tada, and Louie Giglio, Chris Tomlin and Henri Nouwen n and other Contemplative Prayer Leaders. This review highlights where Francis Chan is leading his readers to Knowingly or out of his own ignorance. We also find Contemplative Worship is also being pushed, within the first few pages of the books it shows some of the names that are important to Francis Chan to give the Book Crazy Love credibility. Joni Eareckson Tada is known for her ecumenism and involvement with the Roman Catholic Church, her name is very much promoted from over 2000 Catholic websites. Joni also promotes ecumenical/interfaith groups like L’Arche, Joni states: today L’Arche USA communities are ecumenical and welcome people of all faiths. L’Arche USA is part of the International Federation of L’Arche Communities. L’Arche International serves as the umbrella organization to nine zones around the world. Joni is also has known ties to the Lausanne Movement this is also ecumenical that even includes Christian Mystics such as John Piper in the Lausanne Movement. Another name of concern is Louie Giglio, he is also given his endorsement of Francis Chan’s book Crazy Love, Francis Chan was with Louie Giglio at the 2012 Passion Conference event. Giglio, Chan, Moore and Piper return to Passion from last year and now we have sinfully ecumenical emerging musician David Crowder1 added to the mix. Another couple of special guests are: Jesus Culture and Judah Smith. Jacobs regularly speaks at JC events. If your spiritual discernment is so far off that you can’t see this woman is absolutely a false prophet, and you think she’s speaking for God, you best question, your own relationship to Jesus. Francis Chan is known for speaking at the Passion Conference since 2008. Francis Chan shares his heart for Awakening ’08. Francis is a main speaker for Awakening 08. He is also a main speaker for Passion Conference with Louie Giglio. Francis is so amazing, you won’t want to miss his heart for Jesus. Chris Tomlin who was at the passon confrences is admittingly ecumenical, this is all relevant, as I believe Chris Tomlin is one of the biggest tools for the Catholic Church to bring us all back to mother church, since Vatican II the Catholic Church has been attempting to change its image and increase its influence around the world. The two main areas that the Catholic Church has concentrated on has been the Charismatic Renewal and also the role of music in the church. The center for this in the world is the Franciscan University of Steubenville in Ohio. Especially since the 1980’s altitude amongst Evangelicals towards Catholicism has relaxed and the catholic Church is now considered by many to be a legitimate expression of the Body of Christ. There has been a deliberate tactic of the RCC to promote unity amongst all groups. This began as early as the 1950’s when Bishop Fulton Sheen (the former Bishop of New York) began to promote the RCC’s involvement with the Billy Graham Crusades as Billy Graham was having huge success in bringing people back into the RCC. The Ecumenical Movement of the RCC is simply to increase the RCC’s influence and power. The RCC has not compromised on any of its dogmas and doctrines whereas Evangelical protestants have bent over backward to accommodate the RCC. 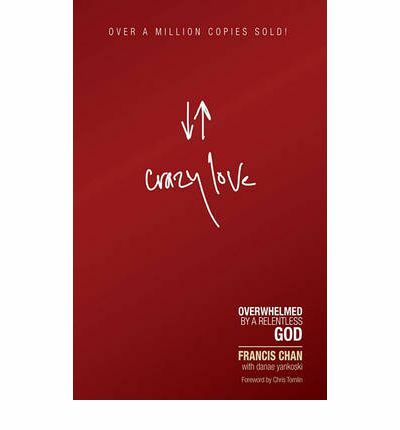 This is very much shown in Francis Chan’s book Crazy Love, whilst some may like some of Chris Tomlin’s songs and may have been introduced to Chris Tomlin and his music, Chris Tomlin has an agenda behind his music. It is skillfully crafted and worded in such a way as to promote Ecumenical Unity. His music is officially sanctioned by the RCC to be used during the Mass and other RCC events, such as his songs “How Great is our God”, “Everlasting God”, and “Enough,” which were included in the program of the 2009 Diocesan Youth Conference at the College of William and Mary, Williamsburg Virginia. Life Teen is one of a number of Catholic Youth Ministries that actively support Chris Tomlin and recommend their youth attend his concerts. Matt Maher is music leader at this year’s Life Teen Conference events. “CHRIS TOMLIN, author of “We Fall Down,” “Holy Is the Lord,” and “How Great Is Our God,” holds the non-judgmental, ecumenical philosophy. He says, “Conservatives and charismatic’s can stand in one room, listening to the same music, worshiping the one true God. Music unites” (“The United State of Worship,” Christianity Today, Aug. 2003). Tomlin is a former staff member of Austin Stone Community Church in Texas, which holds the emerging church philosophy. It has an extremely weak doctrinal statement that allows the widest possible ecumenical relationships, and its objective is not just to preach the gospel to lost souls but to “redeem” the city of Austin, which is definitely what the apostles sought to do in the Roman Empire.”: – David W. Cloud. Chris Tomlin is “Worship leader” at Passion City Church (a Mega Church) in Atlanta under the leadership of Louie Giglio. Giglio founded the Passion Movement which is a major outreach to young people. Hillsongs United (under the leadership of Joel Houston) were actively involved in leading this year’s Passion 2010 in Atlanta including Chris Tomlin, David Crowder Band, Beth Moore, Charlie Hall, Matt Redman, John Piper this includesFrancis Chan, the same can be seen for 2013. Chris Tomlin and The Shack. Multi-platinum and multi-Dove Award winning Chris Tomlin makes his first and only cruise appearance on the Music Boat along with Dove winners Brandon Heath, Mercy Me, Israel Houghton, Sanctus Real, Salvador and KJ-52. 2010’s New Artist of the Year Sidewalk Prophets is also sailing the Music Boat. Paul Young, author of the New York Times best-seller The Shack; NY Inner-City Pastor Tom Richter and Biggest Losers Phil and Amy Parham are among the inspirational speakers for the cruise. For the kids, Veggie Tales’ Bob and Larry will be featured guests on the Music Boat. And, additional artists and speakers will be added soon. Paul Young: Wm. Paul Young was born a Canadian and raised among a Stone Age tribe by his missionary parents in the highlands of former New Guinea. He suffered great loss as a child and young adult and now enjoys the “wastefulness of grace” with his family in the Pacific Northwest. The Shack, the novel Young started in 2005 to explain to his six kids how he coped with tragedy, spent over a year on the New York Times Best-Seller List and has sold more than 11 million copies. There are reasons why Crazy Love cannot be trusted the first point it try’s to explain the scriptures with human reasoning the scriptures warn us not to trust in our own understanding, Proverbs 3:5 the second point it crosses over into Catholic Mysticism for example Francis Chan is showing he is being influenced by Roman Catholic leaders even by leading his readers into receiving what these mystics had written. [P17] Francis Chan quotes François Fénelon, The Seeking Heart, François Fénelon was a Jesuit and a Mystic it is know that Fénelon burned his writings to stay in favour with Rome as at that time Mysticism did not abode well with Rome. A bit of his background Born on Aug. 6, 1651, François Fénelon was educated by the Jesuits. He became a priest at the famous Seminary of St-Sulpice and spent 3 years preaching to Protestants. He became an ardent disciple and friend of Jacques Bossuet. Fénelon produced his Treatise on the Existence of God as well as his Treatise on the Education of Young Girls at this time. Both were highly successful. In 1688 Fénelon met Madame Guyon, who claimed to have mystical experiences and to have the secret of loving God this would have influenced François Fénelon, The Seeking Heart. being “filled” with divine presence deep within. We should notice as well that the sense of being “filled” may be expressed positively or negatively. one of joy (positive) or agony (negative). And so on. There was also the issue, often heard in Fénelon’s time, of whether mystical experience was reserved only for adepts or something to be desired for all Christians. The origin of these Quietistic tendencies is not hard to discover. However strongly the Pantheistic conception of the world may appeal to the philosophic minded, it cannot do away with the obvious data of experience. To say that the soul is part of the Divine being or an emanation from God enhances, apparently, the dignity of man; but there still remains the fact that passion, desire, and moral evil make human life anything but Divine. Hence the craving for deliverance and peace which can be obtained only by some sort of withdrawal from action and from dependence on external things and by a consequent immersion, more or less complete, in the Divine being. These aberrations of Mysticism continued even after the preaching of Christianity had revealed to mankind the truth concerning God, the moral order, and human destiny. Gnosticism, especially the Antinomian School, looked for salvation in a sort of intuitive knowledge of the Divine which emancipated the “spiritual” from the obligation of the moral law. The same Quietistic tendency appears in the teaching of the Euchites or Messalians, who maintained that prayer frees the body from passion and the soul from evil inclination, so that sacraments and penitential works are useless. They were condemned at the Synod of Side in Pamphilia (383) and at Ephesus (431). The Bogomili of the later Middle Ages were probably their lineal descendants. It is very clear to me that in Chapter One page 23 Francis Chan is very much promoting this form of Mysticism and Gnostic teaching and directing the reader to practice it. Chan, Francis (2010-01-01). Crazy Love: Overwhelmed by a Relentless God (p. 23). David C. Cook. Kindle Edition. Chan, Francis (2010-01-01). Crazy Love: Overwhelmed by a Relentless God (p. 38). David C. Cook. Kindle Edition. Mark Buchanan, The Rest of God (Nashville: Thomas Nelson Publishers, 2007), 158. Chan, Francis (2010-01-01). Crazy Love: Overwhelmed by a Relentless God (p. 96). David C. Cook. Kindle Edition. Mark Buchanan is very much participating and involved with Willow Creek. Experience God’s transforming presence in this special overnight retreat designed specifically for you. “Strengthening the Soul of Your Leadership” challenges participants to forge a connection between their souls and their leadership. This National Pastors Retreat provides leaders with a safe place to be honest about the challenges of spiritual leadership, to experience spiritual rhythms of solitude, prayer, and community, and to deepen their understanding of leadership that flows from one’s authentic self. Led by The Transforming Center leaders Ruth Haley Barton and Joe Sherman, this retreat offers a meaningful introduction to the community, spiritual rhythms, teaching themes, and guided experiences that will come to characterize National Pastors Retreat. Ruth Haley Barton – Co-Founder and President of The Transforming Center (Wheaton, IL). She was trained through the Shalem Institute for Spiritual Formation (Bethesda, Maryland). Educated at Wheaton College (Wheaton, Illinois) and has been on the pastoral staff of Willow Creek Community Church. She is also on the Christianity Today/Building Church Leaders Advisory Board. We can see from Francis Chan’s involvement with Mark Driscoll, Mark Driscoll has been very much part of the National Pastors Retreat, this includes Dan Kimball, John Burke,Doug Pagitt, Scot McKnight, Andrew Jones, Karen Ward, Danielle Shroyer. Doug Pagitt is an emergent church leader who is steeped in new age philosophy Doug Pagitt was one of the contributors to the Book and An Emergent Manifesto of Hope, an examination of this can be seen in the video below. 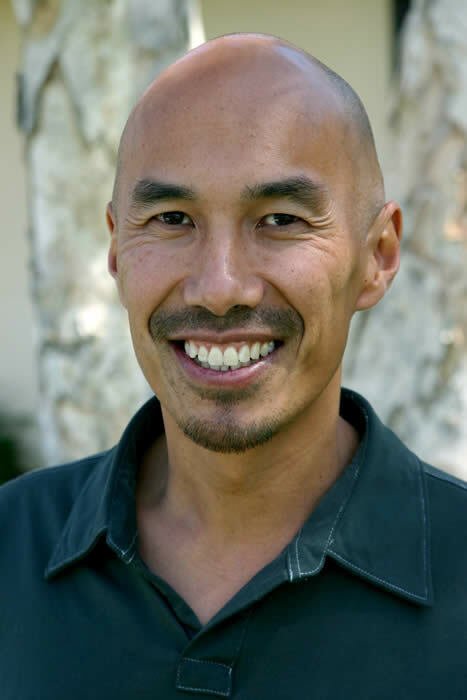 Francis Chan is known for mixing in with New Age and Contemplative speakers such as Mark Buchanan , Leonard Sweet, and John Ortberg is known as a key player in the contemplative spirituality movement. from Willow Creek along with the emphasis on ecumenism known as the Alpha Course. This is not an endorsement or promotion of Eric Barger, based on his research he says ” John Ortberg – Menlo Park (CA) Presbyterian. NOTE: German, Meister Eckhart was an alleged Christian monk / occult mystic (perhaps the earliest Contemplative Emergent!?) who lived in the 14th century A.D. He is also the inspiration and assumed name-sake for modern New Age author, Eckhart Tolle. Tolle changed his name from “Ulrich Tolle” to “Eckhart Tolle” because of the immense spiritual connection he felt for the ancient mystic. Tolle became world famous in 2008 through being featured by Oprah Winfrey when she spotlighted his book “A New Earth”on her television program. Winfrey’s adoration for Tolle’s spirituality inspired her to host and participate in a 10 week series of webcasts on her Internet site in which Oprah herself entered altered states of consciousness utilizing Tolle’s instruction and techniques. These New Age and occult practices were nearly identical to those endorsed by Richard Foster, Dallas Willard, Ortberg and the other contemplative emergent practitioners. The late Henri Nouwen was a Dutch Roman Catholic Priest he wrote books promoting contemplative spirituality he died in 1996. Henri Nouwen is known for his books such as The Inner Voice of Love and The Way of the Heart promoting the practices of the Desert Fathers and Mothers. Henri Nouwen for example promotes St. Anthony named the “Father of Monks” as one of the best guides on solitude the practices that Henri leads his readers is into monasticism in the book The Way of the Heart. St. Anthony is considered to be among the best mystical writers, it is also said that Saint Anthony is also a mystic. Anthony at the time he lived was a philosopher, is animated by another more noble ambition, that of the theologian who becomes a contemplative. He writes that contemplation is the most precious of all deeds, and none of the things that one could desire are comparable. In the book Henri Nouwen also promotes a known mystic and a practitioner of eastern meditation Thomas Merton a Catholic Monk, the description of Mertons book On Eastern Meditation states. This book also promotes Taoism on page 48 the name of a Taoist Philosopher Chaung Tzu is mentioned. Merton was also an advocate of the Labyrinth Walks this is responsible for leading so many in the churches into occult practices. Francis Chan and Rick Warren.